Huntington Ingalls Industries‘ (HII), Newport News Shipbuilding division is collaborating with 3D Systems to qualify metal additive manufacturing technologies to build naval warships and accelerate the adoption of metal 3-D printing in the naval shipbuilding industry. Through this collaboration, they will move portions of their manufacturing process from traditional methods to additive, anticipating enhanced production rates of high accuracy parts with reduced waste, and potential for significant cost savings over other traditional production processes. The first milestone in this agreement was achieved with 3D Systems delivering and installing a ProX® DMP 320 3D metal printer at Newport News Shipbuilding’s site. Newport News plans to use the ProX DMP 320, designed for precision metal 3D printing, to produce marine-based alloy replacement parts for castings as well as valves, housings and brackets – for future nuclear-powered warships. With the ProX DMP 320 as the foundation, the companies are already developing new additive manufacturing technologies to further enhance part production. 3D Systems has contributed additive manufacturing expertise to the U.S. Navy for decades with 3D printing being used for everything from aircraft parts to submersible components. This particular collaboration with Newport News Shipbuilding marks the culmination of joint R&D efforts to qualify metal additive manufacturing to build components for nuclear-powered naval vessels. “3D Systems is proud of our long-standing relationship with the U.S. Navy,” said Kevin McAlea, executive vice president, general manager, metals and healthcare, 3D Systems. “Newport News Shipbuilding is leading the digital transformation to further revolutionize how shipbuilders build the next generation of warships,” said Charles Southall, vice president of engineering and design, Newport News Shipbuilding. “This is a game-changing and disruptive technology for our industry,” said Charles Southall, Newport News’ vice president of engineering and design. The joint effort is expected to support future qualification and certification programs necessary to implement this advanced manufacturing technology for the U.S. Navy and further revolutionize how shipbuilders build the next generation of warships. It is also part of a significant technological transformation underway at Newport News called integrated Digital Shipbuilding (iDS). The partnership represents a significant step forward in the fabrication of components and material for future warships. Compared to traditional manufacturing methods that involve the conversion of raw materials into a finished product through subtractive processes, such as cutting or grinding metal, additive manufacturing involves the layer-by-layer fabrication of raw materials into a finished product. 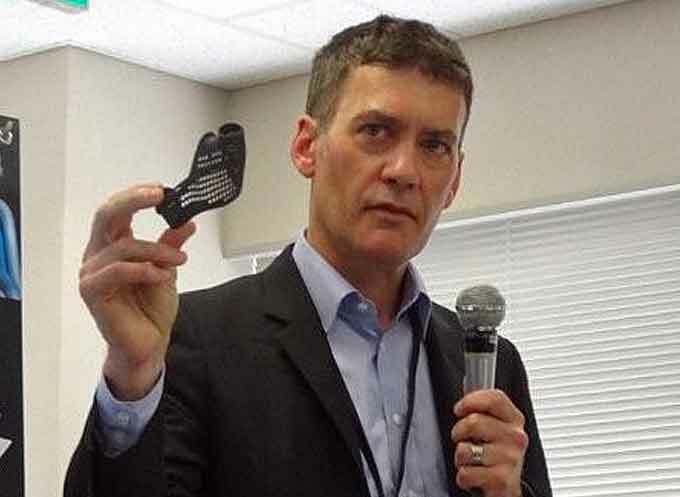 “One of our goals is to provide leadership to our supplier base that will help accelerate the adoption of additive manufacturing within our industry, which may improve efficiencies and quality,” Southall added.